We take the stress out of moving. Our professional movers will arrive at your residence or office, load up any furniture, boxes, tools, or possessions that you want to have stored. 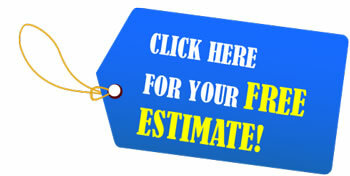 All items will be tagged, labeled, and the moving team will provide you with a detailed listing. We protect your belongings in our locked facility with moving pads and blankets. You can feel confident that all your possessions are secure in our waterproof, fireproof, and rodent free storage facilities. When you are set to have your items returned from storage, we load everything back into our moving trucks and deliver them to your requested location. 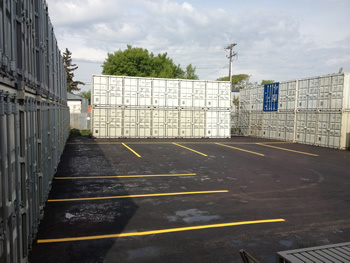 Store your household goods in a storage container until you have a spot for them. You’ll save even more money when you use our convenient monthly lease. It’s the right option for short term storage. Make things easier on yourself by using our convenient storage service to store bulky items out of the way. Your project will go more smoothly and your belongings will stay undamaged. Are things just getting too cluttered around the house? Zap that clutter and have the peace of mind of knowing your valuables are safely tucked away in our personal units.. If you are looking for a place for tools, we have your ideal solution; keep your construction equipment safe in a storage unit. Don’t sell your excess retail inventory at a loss! 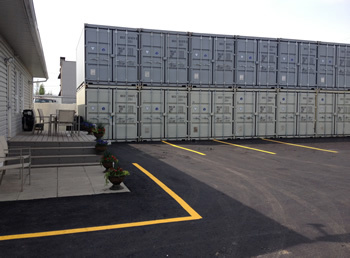 A commercial storage unit is perfect for retail storage and your inventory will be fresh and ready to sell next year. Do you have important archives, records, or other private items you would like to store securely out of the office? 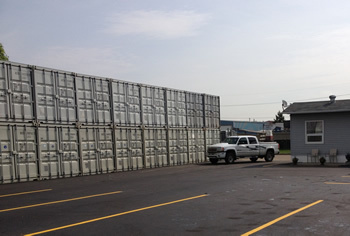 We can offer you the ultimate in privacy and security with one of our secure storage containers for your company's storage needs. Call Action Moving today at (780) 474-2861 and speak with one of our professionals for more information.